This is an optional add-in for users of our UNIVSWAP - Universal Swap Add-in. 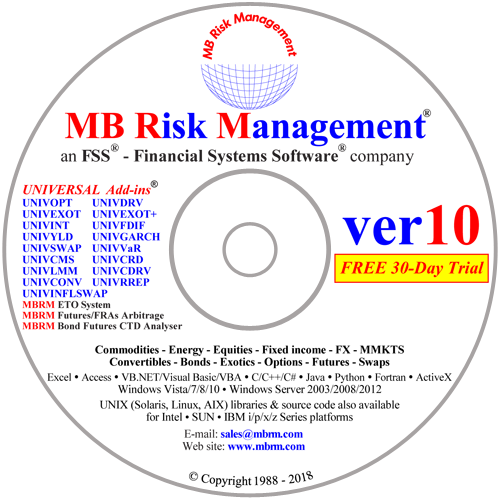 This add-in calculates and analyses Inflation Swaps, Index Linked Bonds, and Treasury Inflation-Indexed Securities (TIPS). 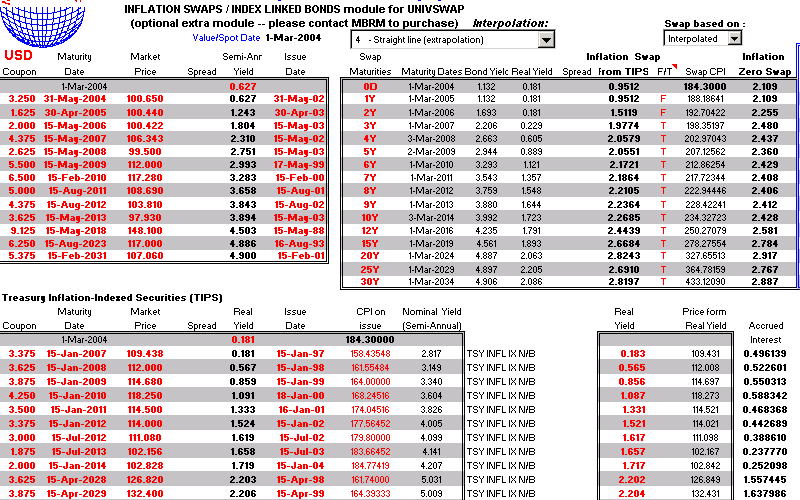 Calculation of yields and swap rates from the on-the-run government bonds. 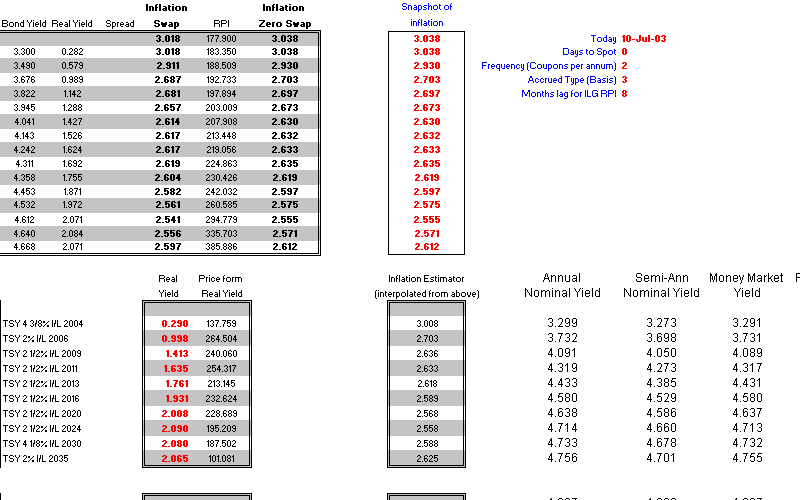 Calculation of Inflation zero rates (from either CPI Futures or the Index Linked Bonds).